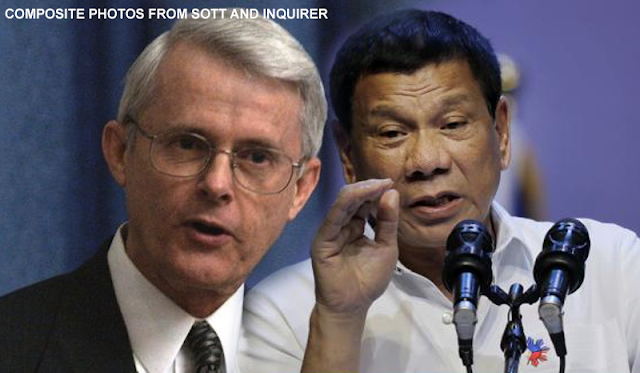 In an interview with EIR Asia expert Mike Billington regarding President Rodrigo Duterte's war on drugs, Virginia State Senator and former Pentagon head lawyer Richard Black said that the Americans and other nations should not intervene and respect the Filipino culture because Filipinos know more of what their own country needs. Black also claimed that the Americans have a tendency to impose their supposed "higher intellect" on other cultures. Black was a chief in the criminal law division in the Pentagon. The senator stated that Dutere was once mayor in a lawless city and he was ruthless to criminals, therefore bringing law and order into the city. That's why he said that majority of Filipinos voted for him. "The people of the Philippines elected Rodrigo Duterte since they wanted law and order, and he gave it to them. They have chosen a very strong ruler." He also mentioned that the United States had a war on drugs but it was immediately eradicated by politicians and now the drug situations is worse. In dealing with drugs, the US should get inspiration from the Philippines where the president viewed it as a war and not just a police action, as their situation on drug trade is getting worse. In the declaration of Duterte to separate PH from the US, Black said that US is to blame as the government should have dealt with PH in a more sensitive fashion. He said the Chinese offered assistance, while the US offered condemnation. "It would be a shame to lose our alliance with the Philippines" the senator said.